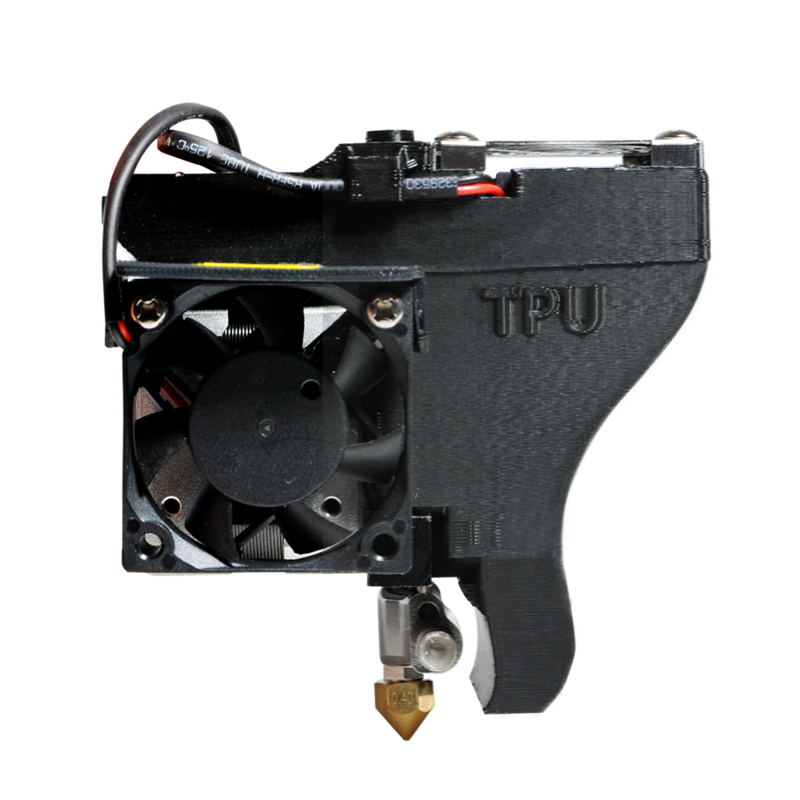 The Tiertime Extruder TPU V1 uses dual fans for better cooling effect. The airflow is adjustable from the top fan to cool TPU prints better. The TPU V1 Extruder uses an 5mm nozzle.